Shahid Kapoor or Vijay Devarakonda: Who is more good-looking for Prabhas? Prabhas is impressed with the teaser of Kabir Singh, which is the Hindi remake of Telugu film Arjun Reddy. The Bahubali star says that Shahid Kapoor looks better than Vijay Devarakonda. Mumbai: A few days ago, the teaser of Shahid Kapoor's Kabir Singh was released. This film is a Hindi remake of Telugu blockbuster Arjun Reddy, which featured Telugu film industry’s heartthrob Vijay Devarakonda. 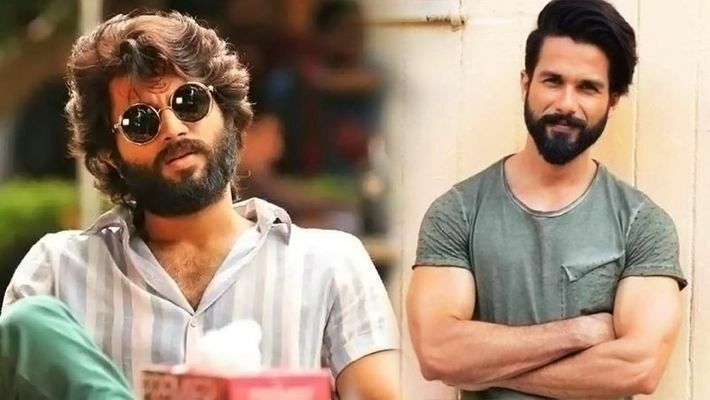 After watching the teaser of Kabir Singh, many viewers felt that Shahid Kapoor looks real, more aggressive, very romantic and energetic than Vijay Devarakonda. Not just people, Prabhas, who is from the Telugu film industry, also thinks the same about the Udta Punjab actor. Not just that, according to sources from the industry, Prabhas called Kapoor and praised him soon after watching the teaser of Kabir Singh on the sets of Saaho in Hyderabad. Hakim Aalim, who is Tollywood actor Ram Charan's hair stylist, told IndiaGlitz about the whole incident, "I was by the side of Prabhas on the sets of Saaho in Hyderabad. This is when the teaser was released. Since Prabhas was impressed, I called up Shahid and helped the duo to talk. He feels that Shahid is better than the male lead of the original Arjun Reddy." The movie’s teaser opens with a voiceover introducing Kapoor’s character Dr Kabir Raj Dev Singh, who is supposed to be the best student to have graduated from the prestigious Delhi Institute of Medical Science with “an impeccable academic record”. In the video, Kapoor is on the terrace of a building and inserting a bottle of alcohol into a black water tank and then drinks from it. The story is of an alcoholic surgeon with anger management issues, who goes on a self-destructive path after his ex-lover marries someone else. Kiara Advani is seen playing the female lead opposite Shahid Kapoor in the film, which is scheduled for a theatrical release on June 21.